Sub: Discrimination in the allocation of development projects in Punjab and deliberate neglect of Amritsar. 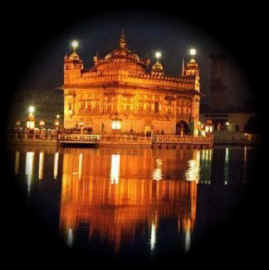 Amritsar - 'the pool of nectar' - is an internationally known Sikh heritage city and as such needs no introduction. It has been the site of Jallianwala Bagh massacre which triggered the freedom movement in 1919 and bore the brunt of the trauma of partition in 1947, the 1965 indo-pak war and then the 1984 operation Blue Star. Unfortunately, this foremost city of north India has been a victim of motivated neglect at the hands of successive governments. Recent decisions of the congress government led by Capt. Amarinder Singh further testify our assertion. First of all, take the example of the National Institute of Bio-technology, which was announced at the time of 400th year celebrations of Sri Guru Granth Sahib in Amritsar on 1st September 2004. The Punjab government advertisements in The Tribune and Times of India dated 27; February 2005 clearly mentioned the setting up of the National Institute of Bio-technology at Amritsar. But, now the state government has flipped its priorities and the institute is being set up at Dera Bassi in the Patiala district. Similarly, other institutes and projects proposed for Punjab such as National Institute of Nanotechnology, Defense University or the National Institute of Defense and Law University are all being planned to be set up near Chandigarh, Mohali, Ropar, Patiala or Ludhaina districts. Recently, the Punjab government proposed, to the Emmar MGF Company of Dubai to set up a world class Sports Center and a Health Care Township in Mohali. Last year, the Punjab Finance Minister Mr.Surinder Singla has said that a world class Health Care Township will be set up at Amritsar and the state has sent its proposal to the center government for approval. Mohali near Chandigarh is being developed as an information technology hub besides a center of many projects of Health, Commercial and residential nature worth thousands of crores. On the request of the Punjab government, the Emmar MGF Company of Dubai has planned to invest Rs. 5000 crore investment in real estate in Mohali, Ludhiana, Jalandhar and Patiala but not in Amritsar. During the visits to USA and Dubai, Capt. Amrinder Singh persuaded the MNCs to set up their projects near Chandigagh, Mohali, Ludhiana, Patiala and Jalandhar. Amritsar is no where in the proposed projects. Ropar district is already receiving big industrial units because of contiguity with Chandigarh. Mohali is in the district of Ropar. Patiala district falls in the National Capital Region and having contiguity with Chandigarh and Haryana is also receiving maximum projects. Head offices of the several boards and corporations of Punjab government are located in Patiala. Moreover, Patiala is also the home district of the Present Chief Minister of Punjab and Dera Bassi in the district is being developed as a major industrial hub. Ludhiana has developed as a major industrial township of not only Punjab but also of North India, and it is already attracting huge investment in multi-product industry such as Hosiery, Textiles, Ready made garments, food processing, real estate etc. Bharti Tele is also setting up a multi-million dollar Agro based project near Ludhiana. Jalandhar-Kapurthala belt has Rail Coach Factory, Science city, Institute of Renewable Energy, T.V. and Radio Station. Bhatinda has big units like Thermal Power Station. A multi-crore refinery is also being set up at Bhatinda. Recently, the Punjab government has offered three sites in Ropar, Patiala and kapurthala districts for the setting up of multi-million dollar car/auto/defense vehicle manufacturing units by three interested multi-national firms. Amritsar again left out in the race of development. Even after the lapse of one and half year since its announcement on 1st September,2004, the Punjab government has not been able to initiate the process for the setting up Special Economic Zone at Amritsar, yet it is very keen to set up SEZs in Ludhiana, Jalandhar and Bhatinda in the field of auto industry, sports and Textiles respectively. It is a matter of great regret that the SEZ announced at Amritsar by you is reduced to 1000 acres from 2500 acres but the new SEZs announced by the Punjab government are coming up at 2500 acres. It is a clear cut policy of discrimination against Amritsar. Despite promoting the Amritsar International Airport, the Punjab government is bent upon to harm the future aspects of the Amritsar airport by persistently demanding second international airport at Phillaur and now at Halwara near Ludhiana, only at 75 Nautical Miles from the Amritsar airport, without considering the traffic potential required for the successful operation of the Amritsar airport. While Amritsar is the only city of Punjab with world wide tourist importance, the Punjab government is taking no interest for the development of tourism in Amritsar. It provided no special grant to the city for the improvement of infrastructure though it provided Rs 60 crore to Mohali for the purpose. Though the Punjab government has no money for all major entry roads to Amritsar which require immediate four-lane and beautification, it has planned Rs 1000crore for the four-laning of Ludhiana by-pass. The Punjab government is following the policy of partiality and is therefore, responsible for the unbalanced development of the state. The Amritsar district is being neglected at the cost of other districts. Development is being concentrated near Chandigarh, Mohali, Ludhiana and Jalandhar belt. The city of Amritsar rightly deserves the adequate quantum of its share in the development of the state because it is the second largest city of Punjab after Ludhiana with a population of more than 15 Lakh. It is one of the major commercial and industrial centers of the state. It is now the 5th top tourist destination of the world. It is the only city of Punjab with religious, historical, national as well as international tourist importance. The city receives more than 50 lakh tourist annually. Besides, Amritsar is the gateway to India by road, rail and air. i. Set up National Institutes of Bio- technology and Nanotechnology at Amritsar. ii. The Punjab government should also develop Amritsar as a hub of Information Technology and the central government should establish a Software Technology Park at Amritsar. iii. The Punjab government with the help of other multinational companies should provide world class city center, trade and exhibition center, convention center and other tourism projects in Amritsar. iv. The Punjab government should provide world class infrastructure in Amritsar for making it tourist friendly. For this purpose, Rs 100 crore be released to Amritsar. v. It should also establish Amritsar Development Authority. vi. The Punjab government should also press upon the Reliance and other companies to provide world class cold store chain system near the Amritsar airport for boosting export. vii. Amritsar Tourism and Industrial Development Corporation be set up. Amritsar Vikas Manch in similar letters to the Prime Minister Dr. Manmohan Singh and Smt Sonia Gandhi President All India Congress Committee has alleged that Amritsar-world famous city is being deliberately neglected in the allocation of central as well as the state government projects by the Punjab government. The Manch president Dr. Charanjit singh Gumtala, while releasing the letters in the press conference, said that Amritsar has no place in the list of priorities of the state government. It is a victim of motivated neglect at the hands of the successive governments. To testify his assertion, he cited the example of the National Institute of Bio-technology, which was announced at the time of 400th year celebrations of Sri Guru Granth Sahib in Amritsar on 1st September 2004. The Punjab government advertisements in The Tribune and Times of India dated 27; February 2005 clearly mentioned the setting up of the National Institute of Bio-technology at Amritsar. But, now the state government has flipped its priorities and the institute is being set up at Dera Bassi in the Patiala district. The Manch president, requested the both leaders to intervene in the matter and end undue discrimination with Amritsar and press upon the Punjab government to Set up National Institutes of Bio- technology and Nanotechnology at Amritsar, to develop Amritsar as a hub of Information Technology and the central government should establish a Software Technology Park at Amritsar, to provide world class city center, trade and exhibition center, convention center and other tourism projects in Amritsar with the help of multinational companies, to release minimum 100-crore rupees for the providing world class infrastructure in Amritsar for making it tourist friendly, to establish Amritsar Development Authority. He also demanded that the Punjab government should press upon the Reliance and other companies to provide world class cold store chain system near the Amritsar airport for boosting export, to set up Amritsar Tourism and Industrial Development Corporation and to provide world class Tourism Park and Healthcare Township at Amritsar.